The last couple months have been quieter than usual here on the blog, but there are lots of good things coming up, I promise! Today, I want to talk about a few stellar skincare items that I've been using recently. 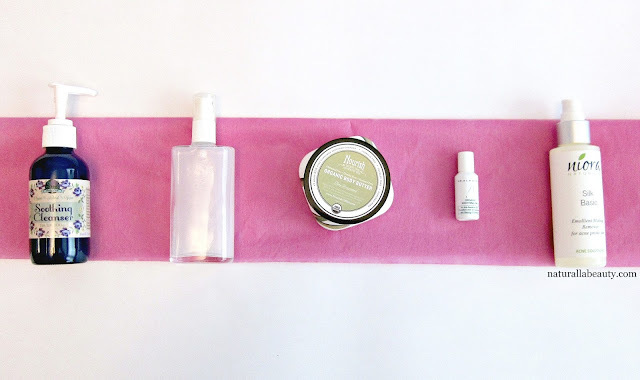 Here in Toronto, where the weather has yet to make up its mind between winter and spring, these five items have been keeping my skin healthy and happy despite all the back and forth temperatures. If you'd be interested in seeing a full skincare routine too, let me know in the comments and I can definitely put that together soon! The Soothing Cleanser is a gentle, soap-free cleanser designed for sensitive, inflamed, and rosacea-prone skin. It's packed full of nourishing oils, along with soothing aloe vera and chamomile flower water, and is a real treat to use. Witch hazel and burdock root also offer anti-inflammatory and anti-bacterial benefits, making it suitable for those prone to acne, eczema, and psoriasis too. The cleanser itself is a bright yellowy-orange cream, courtesy of sea buckthorn oil, and is laced with red jojoba beads, making it quite fun from a purely aesthetic perspective too. It also has a lovely fresh citrus and mint scent that I can't get enough of! An exfoliating cleanser isn't normally what I'd think of first for sensitive or reactive skin, but the jojoba beads are smooth and rounded and glide over the skin very gently, offering just a hint of delicate exfoliation. I don't have rosacea, but my skin is prone to redness and the Soothing Cleanser legitimately eliminates any color or irritation. It's not uncommon for my skin to be pink and flushed for a few minutes after cleansing, but with the Soothing Cleanser, my skin is left milky, white, and above all else, calm. When I have time, I like to leave the cleanser on my face for an extra minute or two before rinsing to let the great ingredients work their magic even more. 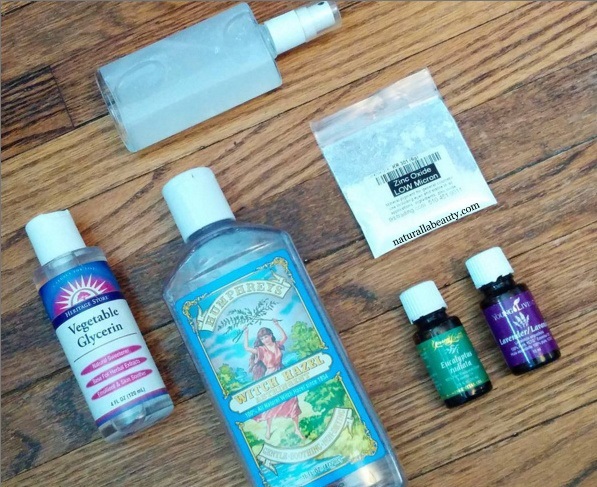 As much as I appreciate the difference a good toner can make in my skin, toners aren't a product that generally inspires me to spend a ton of money, so I often resort to DIY-ing my own. 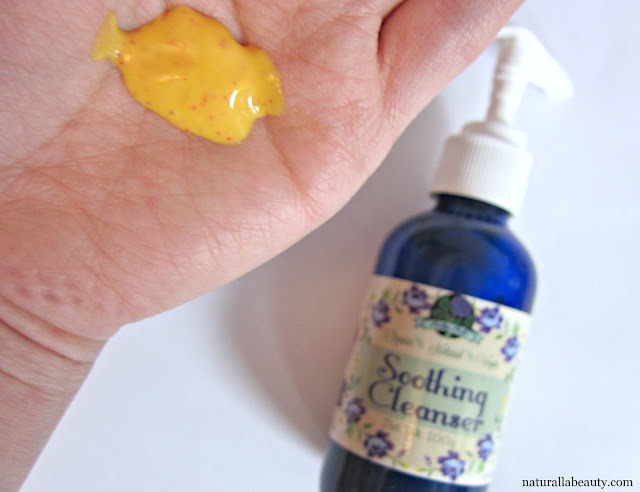 Witch hazel is great for keeping pores clean, and with just a few added ingredients, you've got yourself a great toner. I shared this recipe on the blog several years ago and this variation more recently on Instagram, and I still come back to it, though I vary the essential oils depending on mood and skin needs. I've also started adding a small amount of zinc oxide, which is great for calming down redness and minimizing skin sensitivity. If you want to amp it up even more, you can also pre-infuse the witch hazel with herbs. 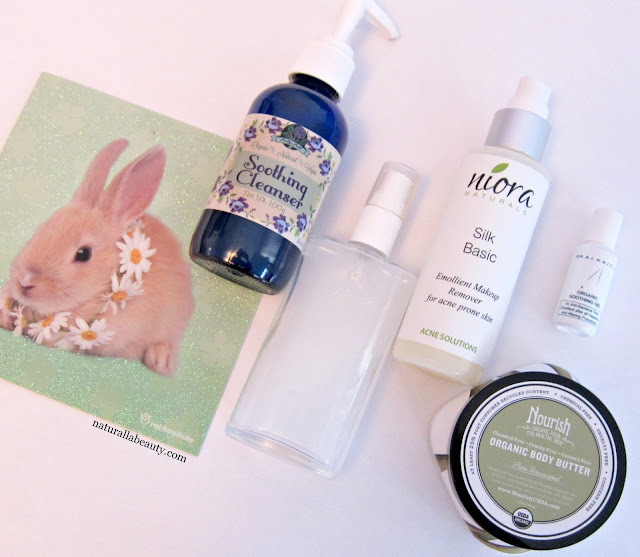 Niora Naturals' Makeup Remover has an emollient texture that falls somewhere between a cream cleanser and an oil. It works best when massaged onto dry skin and removed with a damp washcloth or face wipe, much like you would an oil cleanser. It's a light emulsion that removes makeup with the same ease as an oil, but wipes - or even rinses away - much easier. With a base of organic jojoba oil and glycerin, the Makeup Remover is very gentle on the skin, but still manages to remove every speck of makeup -- even tricky things like eyeliner and mascara! It does sting if you get the product directly in your eyes, but as long as I keep my eyes tightly shut while using it, I don't generally have any problems. I've raved about the multi-functional Soothing Gel before and I've discovered yet another use for it! I already love using it on active blemishes and pimples, but I've recently learned it works great at stopping breakouts before they strike too. Overall, my skin isn't very acne-prone, but, strange as it sounds, my eyebrows have a tendency to react to any brow makeup. With an aloe vera base and tons of great herbs, the Soothing Gel has both antibacterial and anti-inflammatory properties, and as soon as I started running a couple drops of it through the hairs before applying makeup, I noticed a big difference. As I've said before, I find the gel a bit drying when used all over the face, but it's fantastic as a targeted treatment on smaller areas. My under eyes, along with a couple other small areas, have gotten extra dry the last couple weeks and, on a whim, I started using Nourish's Unscented Body Butter to treat them. A longtime favorite of mine for dry patches on the body, I was happy to discover that it works just as well on the face. The butter, made of mainly organic shea butter and sunflower seed oil, does contain coconut oil, but it's one of the last ingredients and, used conservatively on just small areas, my skin has not reacted negatively at all. Have you tried any of these? What skincare products have been helping you transition to spring? I've been hearing a lot about Batty's Bath lately and that cleanser sounds really nice! Great post! The makeup remover sounds really good! I'm definitely going to check out that brand! It's hard to find really simple effective products but this sounds perfect!